Find a second Home, Your retirement home, or a beach paradise! Welcome. If you are looking for the best real estate agents and the best website for searching for homes in Florida, you have come to the right Florida real estate website. We are different and we are better. Indeed, I believe this to be the best real estate website in Florida. Most real estate websites give you the ability to search for homes, but you will find the results on our searches more informative with additional information you can’t find elsewhere: walking maps, school maps and every listing has a map of other homes in the immediate vicinity, directly in the search results. We get raw data from five MLS systems through out the State and present it in a way that is most helpful to you. If you see a home here that piques your interest, we will be happy to visit the home and take a personal video and give you our impressions. Naples, Bonita Springs, Fort Myers Beach, Cape Coral, Lehigh Acres, Fort Myers, Siesta Key, Sarasota, Tampa, Orlando, Brevard, and Jacksonville. Would you like a Virtual Tour of a Property? First of all, this is a note about Florida Real Esate, not a book, so the title isn’t; “Everything You Should Know about Florida Real Estate”. Many of you have commented that I should write a book. OK. I will, but I need to do it a page at a time. Many of you commented that I should hire a proof reader. Let me tell you something, if you read a blog of mine and it’s absolutely perfect, you will know I took your advice. But in the meantime, please forgive, no, embrace the typos and transpositions as a “tell” that I am the one who proofed it (and wrote it). Now to the subject at hand: What’s going on in Florida Real Estate and what should you know? In no particular order I want to share with you the answers I give day to day to this question. The first thing you should know is that we are in a transition. The market today is different from even six months ago. The prices at the bottom and moving up as demand increases; and the inventory is depleted. We are not seeing as much flipping by investors as we are seeing “buy, fix up , and rent” investors. Upper level homes are still going wanting for buyers as retirees and second home buyers look for smaller homes in prime locations. There are still deals, but they sell quickly. Technology has made confident buyers come to the market thinking they know what’s going on. They don’t. Zillow does not know neighborhood trends. Trulia does not know the difference between active and active contingent, and Realtor.com can’t give you the pulse of the market; what’s hot and what’s not. A good amount of the initial time spent with buyers is educating them on local conditions. Use a local expert to help guide you. The rental market is hot. But be careful of rental prices given to you in pro formas. Move in incentives and free rent are skewing yield rates. Yes you can buy rental property here and get a good return (6 to 10%), but it is rarely as good as presented. This is due to differed maintenance; move in incentives, and underestimated lease out fees and management costs. New Homes are hot. The last time any volume of homes were built was in 2005. Some of these have never been lived in, been air-conditioned, nor had the mechanicals put to the test (if they are even there). They have no warranties. Because of this buyers are looking to new homes. They will be better built, perhaps Green, and will be smaller and smarter. And financing is cheap ( 3.88% today). And you can get what you want in a house. Buy and Rent is the New Flip. To build a new home cost around $120 per square foot. You can buy an existing home today for half that. The rent less expenses will return you more than you can get in a traditional liquid investment. The gradual return towards a par with replacement costs is the bonus round. 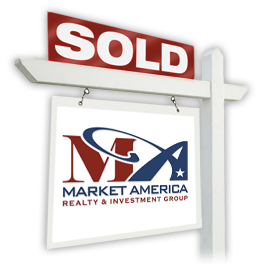 At Market America Realty we literally have orders for 20 homes a month for cash buy and hold investors. What do they want? They want homes in areas that will rent to people that will be buyers in three to five years. Insurance Costs. It costs more to insure a home near the water or in low lying areas. You can’t get insurance on an older home without a roof inspection. If you are comparing homes, get an insurance cost estimate before you buy. Hurricanes. More important to outsiders than the locals. Newer homes built since 1992 are better equipped to deal with them. Look for good drainage (we get a lot of rain), solid windows, and roof quality. Air-conditioning costs and water costs are high. Check on insulation, age and efficiency of the air units, and make sure there is a deep well for irrigation. Water and Sewer. Not all homes are hooked up to city water and sewer, and if they are, not all the assessments are paid. Termites. Like the hot weather and the rain, bugs are a way of life here. Get a WDO (Wood destroying organism) inspection. All houses will have bugs, they can be dealt with. It’s when the bugs have been ignored for a long time you have trouble. A good house inspection with WDO will cost you around $250. DO NOT SKIP this step. Let’s talk about the commercial market. It’s coming back. Empty retail and office space is getting filled. There are great deals on empty industrial buildings now. I do not expect that to last more than a year or two. In fact the rate of our recovery is increasing. Like a snowball, we are picking up momentum. The locations that are hot have the traffic and infrastructure. Look for a return of the industries that cater to the home building market. Medical has been soft while the doctors fret about Obama care, but I see this loosening up as well. 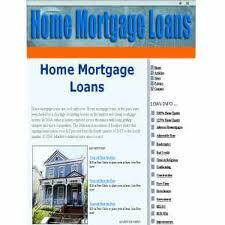 It’s a great time for owner occupied purchases because there is money to lend to them. It’s still very tough to get investor money for commercial property. Southwest Florida. How did you get here and what does it cost to live here? I moved here from Cincinnati, Ohio. From my house it was two left turns and one right to get on I75, stay on I75 to the Fort Myers exit, then five more turns and I was in Fort Myers Villas at my parents Rutenburg home. But when I first came to visit them when I was in college, I drove my 1964 Ford Falcon from New Jersey. I 75 ended in Tampa, and then it was a series of local roads until I got on Route 41 to traverse through Sarasota, Punta Gorda, and finally crossing the bridge into Fort Myers. I never remembered much about the ride from Tampa to Fort Myers because by the time I reached the terminus of I75 I had been up for at least 20 hours straight. For a special treat like Christmas, Dad would send me a ticket to fly “Barbara” or “Karen” (National Airlines named their planes back then) into Page Field, then it was a short 15 minute drive to their house. Today’s newcomers to Fort Myers, Sarasota, Naples, Lehigh Acres and Cape Coral arrive by car on I75 from the Midwest ( I 75 begins in Sault Ste. Marie, Michigan, and reaches south to State Road 826 (Palmetto Expressway) and State Road 924 (Gratigny Parkway) in Hialeah, Florida, or they fly into RSW (Southwest Florida International Airport). The West Coast of Florida is fed from the midwest and I75, the east coast of Florida has I 95 as a feeder from New England and the major East Coast Cities of Boston, New York, and Philadelphia. This is one of the reasons that Southwest Florida has a more Midwest feel while the East Coast is more “New Yorky”. Southwest Florida has more folks from Chicago, and other cities along I75 . Arrival by air has only recently included non stop international flights and only Canada and Germany have direct, non stop flights to Southwest Florida. Atlanta and Miami provide many connections to the world from there, but the lack of non stop flights has somewhat shielded our area from more international tourism. Visiting is one thing – what about retiring here or having a second home? Well, many vacationers first become part time and then full time residents. My father and mother retired here in 1970. Dad used to keep an index card in his wallet: that card was meticulously updated once a month with his living costs. At the first sign of any interest from his friends from the north he would pull out that card and share his monthly costs of living in Florida. He was as proud of the numbers as he was of KNOWING the numbers. Back then a common greeting from him was” HiWhereYaFrom” sort of a one word greeting the got the conversation going. For many of you that may be thinking of moving to Florida your first visits will be to see friends and you will learn from them about the joys as wells as the costs of living in Florida. One of my recent columns was about housing choices in Florida for a second home or retirement and you may find it interesting to review before we talk about the cost of living here. Housing costs vary from single family homes to condos, but it is feasible to buy a homes for under $135,000 . If you want to look in new communities I suggest viewing this Website on New Homes and Communities, its one of the best summaries of all the new communities like The Plantation. Water: The water bills vary depending on whether or not you have a well, can use recycled water from the city for irrigation or just have normal water service. For a two person family, without irrigation the bill could be from $60 to $150 per month. Gail and I have a well for irrigation and recently installed a water saving shower head and our average water bill went down to $60 per month from $90. I also have rain harvesting barrels for the garden needs. Electric: On any house you are looking at ask your agent to call the utility company and get the last twelve months average electric costs. Here is an area that a new efficient house will more than pay for itself. Condos are much more efficient and can be cooled for as low as $50/month. Single family homes can go high – but the average electric bill is actually below $200/month. (An MA-Green home will be ZERO! ) I have friends that have electric bills upward of $500/month in the summer. Here is a report by FPL on the subject. They report that half of the homes in Florida have bills under $100/month. Other costs. Keep in mind we have no State income tax here in Florida and while our winter clothing costs are pretty darn low, the price of everything else is similar to the rest of the nation. 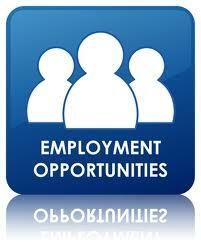 Labor costs here are lower than much of the nation and so therefore is pay if you come looking for a job. The cost of insurance is not much higher than the rest of the nation unless you get on the water – then it still compares to waterfront up north.